Kit consist of two o-rings that fit the Magnaflow 1" and 3/4" water pumps. This gasket fits between the cam driven water pump and the timing gear cover. 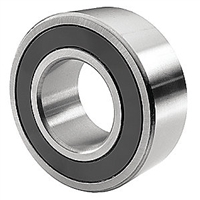 Replacement Bearing for the Magnaflow 1" and 3/4" Water Pump. Magnaflow Water Pump Seal Assy. Seals for the Magnaflow 1" and 3/4" Water Pumps. 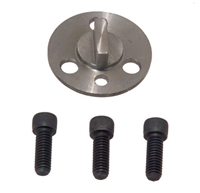 Kit includes new impeller and shear pin for the Neovane 1" water pump. For model V-105. Magnaflow 3/4 Impeller Service Kit. Replacement Impeller for the Nicson Water Pump. Replacement Impeller for the Mike Kuhl River Rat Water Pump. 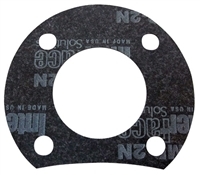 Magnaflow Impeller: Neoprene impeller and seals for the Magnaflow 1" Water Pump. Replacement cover for the Magnaflow Water Pump. Overhaul kit for the Magnaflow 1" and 3/4" water pump. 2" extension for the Glenwood, Magnaflow Water Pump. 3" extension for the Glenwood, Magnaflow Water Pump. 4" extension for the Glenwood, Magnaflow Water Pump. 6" extension for the Glenwood, Magnaflow Water Pump.